Company system. In the Cossack Hetman state and in Slobidska Ukraine the company (sotnia) administration consisted of the captain (sotnyk) and the company officers, including the town (horodovyi) or company otaman, secretary (pysar), aide-de-camp (osavul), and flag-bearer (khorunzhyi). The captain was the company's commander in chief and carried out in its territory military, administrative, fiscal, and judicial functions similar to those performed by the colonel in the regiment territory, including keeping peace and public order in the company. He was the head of the company court, which looked into civil and minor criminal matters involving Cossacks and sometimes even the civilian population in the company's territory (then representatives of the appropriate estate would be included in the court). In matters of great importance the captain was responsible to the colonel and the regimental administration and sometimes directly to the hetman. Originally the captain was elected by a company council and confirmed by a higher, regimental or hetman, government. But from Ivan Mazepa's hetmancy the captain was usually appointed by the colonel or the hetman himself (from 1715 he was selected from a list of three candidates proposed by the company officers) or, during an interregnum, by the General Military Chancellery. 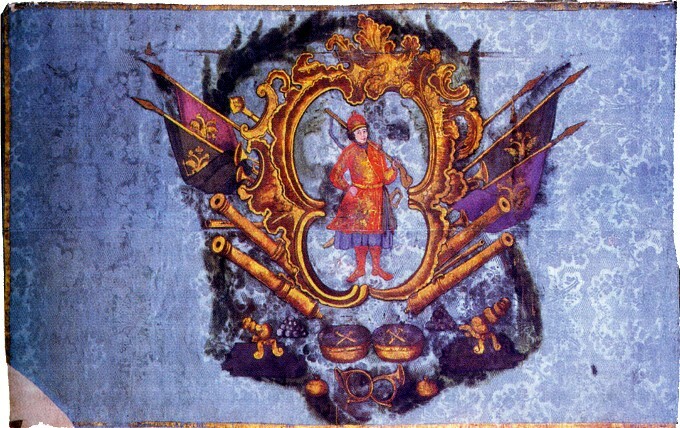 After Mazepa's defeat at the Battle of Poltava in 1709, captains were often appointed by the tsar's government or by the higher Russian administration in Hetman Ukraine; sometimes the appointees were from outside the company or were foreigners (Wallachians, Serbs, etc) in order to weaken the Cossack starshyna (officer class). After the Hetman state was abolished in 1764, captains were appointed by the Little Russian Collegium (actually by its president, Count Petr Rumiantsev). Captains sometimes stayed in office for decades or for life and were succeeded usually by their sons or more remote offspring. Thus, the captain's office became a hereditary one, and captain ‘dynasties’ sprang up (analogous to colonel dynasties): for example, the Zabila family of Borzna company (1652–1783), the Rubets family of Topal company (1669–1782), the Mandryka family of Kobyshcha company (1672-1781), the Shramchenko family of Olyshivka company (1680–1773), the Storozhenko family of Ichnia company (1687–1752), the Seletsky family of Divytsia company (1694–1767), and the Rodzianko family of Khorol company (1701–67). The town or company otaman was the captain's lieutenant and assisted the captain in running the company chancery, supervised the police, and acted as the captain's assistant during campaigns. The company secretary supervised the company chancery. The company aide-de-camp and flag-bearer had their specific military and administrative functions. The company officers were usually appointed by the colonel. The company system in Hetman Ukraine was abolished by the Russian government in the early 1780s, and in Slobidska Ukraine, in 1765.